I work on the Reward Basis… that means you pay me what my service is worth to you and what you can afford, for me to come out and find your lost item. I have a $25.00 call out fee to cover my gas expense if the item isn't found, It maybe less or maybe more it depends on where you are located. Dirt, Sand and Shallow Water. Let me be the one you trust in finding your lost heirloom. I’ve been metal detecting for 5 years. I have been taught by some of the best hunters in S Jersey. I am very dedicated to reuniting lost items and heirlooms with their owners. Having 25 Yrs of law enforcement experience, your valuable item and their locations are safe with me! 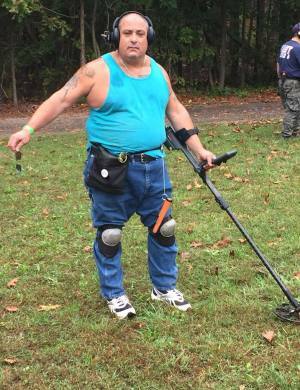 I have had numerous successful recoveries my self and have assisted in many recoveries with other detectorists. I can also be found on Facebook as RingFinderSteve.com or on the web as RingFinderSteve.com Serving New Jersey, Philadelphia, Delaware and Maryland. C249667A-7882-42E9-AC62-6E71EB3C274A 358770C7-4315-4027-8B47-DC45CAA43874 Thank you Action News Channel 6 WPVI Philadelphia PA for airing the story of my ringreturn for the couple celebrating their 1st wedding anniversary in Atlantic City. This is Posted in 2 parts. Thank You Very Much for viewing. I can’t thank Steve enough for his amazing service. I have worked on the ACBP for 8 years now and have seen plenty of metal detector people but never have I spoken to them until this summer. Steve was searching around my beach (Columbia Place) and needed to take a break. He asked us to watch his stuff and we ended up chatting for a little bit. He told us about his recent finds and the people he has helped and even left his card with my stand partner. Little did I know, that card would come in clutch. 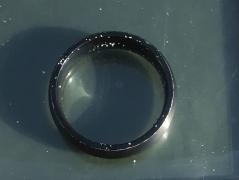 Only two weeks later I lost my wedding ring (only 15 months old) on the beach in Margate. I thought I would never see it again but then I remembered Steve. My stand partner still had the number so I gave him a ring (no pun intended). Steve immediately picked up and told me he would hop in his car and drive the 40 minutes straight to me. I waiting patiently on the beach just hoping it would turn up. Once he arrive I directed him to the area I was sitting at the day before and he promptly (less than 30 seconds) located the ring! I was so elated and grateful for this great guy! I tried to reward him as best I could but he would only accept so much. Please consider Steve for any future lost items, he was a pleasure to work with. And I will definitely view the metal detector people differently when I see them next summer. Steve is a blessing. He was diligent, knowledgeable, and very easy to communicate with. Above all else, he was incredibly confident. This put our anxiety at ease. 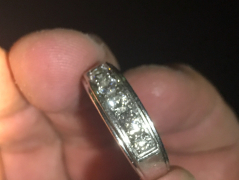 He not only surprised us with my wedding ring that he found, but he offered us a ride back to our hotel. This type of personable service is unmatched, considering the ring in question was so personal. We cannot express enough gratitude to this man!